The WAGNERTUNING racing intercoolers are available in the "Performance" and "Competition" version. CAD-developed freeform endtanks made of cast aluminum ensure an even internal air flow. The intercoolers are optimized so that they achieve the best possible cooling performance with the least possible back pressure. 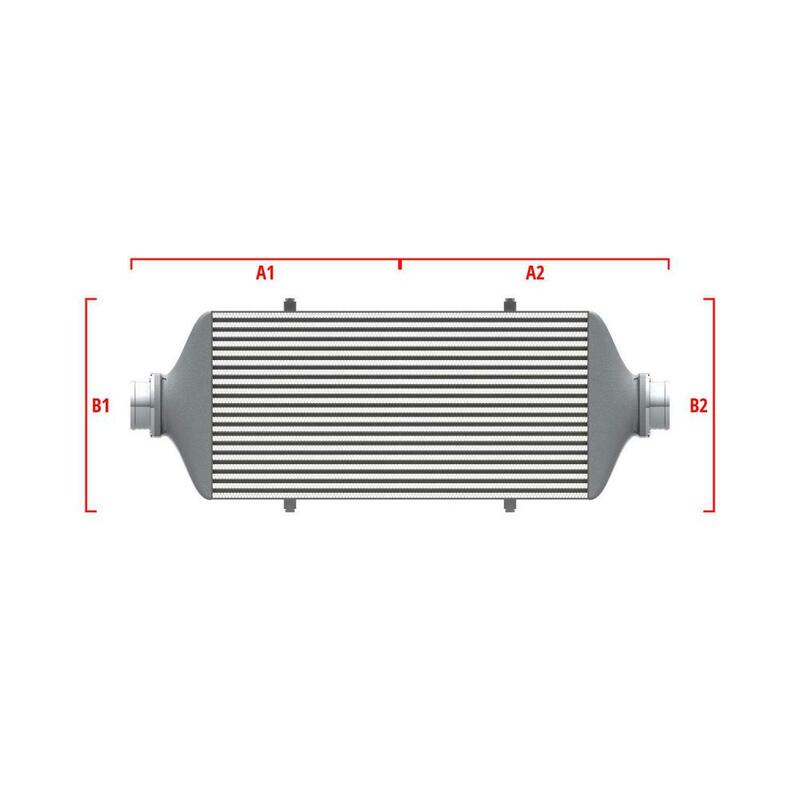 Our intercoolers can be ordered with an anti.Corrosion coating with excellent heat transfer properties, which guarantees optimum protection against all weather conditions. All our products are subject to constant qualitative monitoring. The dimensions of the intercooler are shown in the figure. Racing intercoolers are not prefabricated. For their production, an individual selection or determination by the consumer is decisive because they are clearly tailored to the personal needs of the consumer. Therefore there is no right of revocation. Below is information direct from Germany regarding this product. It may show additional information about fitment and specification. © 2011 - 2019 Wagner Tuning UK.